It was the beginning of 2017, Intel thought the year would go really smooth for them in regards to their mainstream and high end desktop launches. Intel launched their 7th generation core family, offering consumers the same architecture, slightly enhanced process and slightly higher CPU clock speeds, calling it a day. What they didn’t know was that their rival, AMD, was going to make a epic return just a few months after and when they did, Intel’s worst fears had come to life. While Ryzen was anticipated to arrive on the mainstream consumer platform, offering IPC on par with Intel’s latest generation processors, it was Threadripper that no one, even the press had not expected. A full fledged lineup of high end desktop processors designed to tackle Intel’s Core X line up. AMD’s Ryzen Threadripper and the accompanying X399 platform is designed for enthusiasts, it offers features that are not available on the Intel HEDT platform and here’s where things get more interesting. Not only is Ryzen Threadripper feature rich, it also comes at a lower build price when compared to a similar Intel X299 platform setup. An example for instance is the 16 core CPU price difference. Intel’s 16 core chips costs north of $1500 US, AMD’s 16 core chip costs $999 US and at the time of writing this post, it’s selling for even less than that. So here we are, a few months after the launch of Ryzen Threadripper, testing out this utterly high-end, enthusiast platform on two beefy boards. This time, I have the ASRock’s latest X399M Taichi which is the only micro-atx product based on the X399 chipset and something I am really excited to test and also the ASUS ROG STRIX X399-E that is the first ROG STRIX variant based on the X399 chipset. Both of these motherboards launched close to 2018 and made some updates to the board designs for better support on Threadripper CPUs. X399 is the next generation and the first AMD high-end desktop platform designed for enthusiasts and power craving users. It is an entirely fresh platform which brings with itself a load of new tech and features that we haven’t seen on high-end platforms for a while now. To start off with details, the X399 platform is very similar to AMD’s server end EPYC platform. 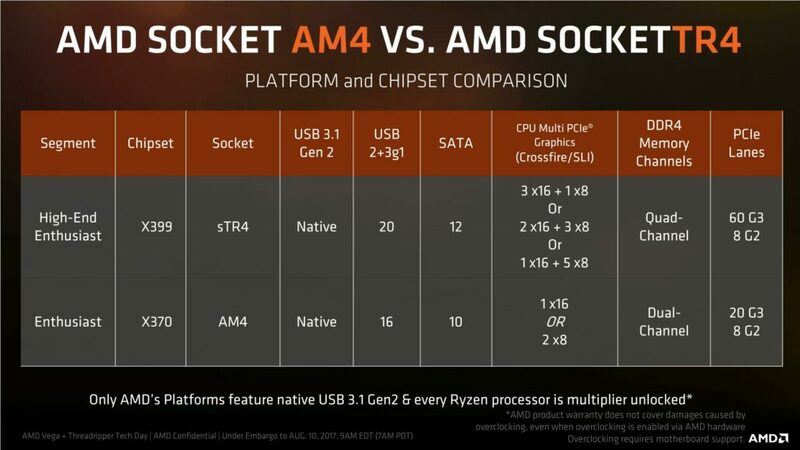 It features the same chips in which AMD is using the top 5% dies for HEDT consumers, the same monolithic SP3 socket, known as the TR4 and the many PCIe lanes that we should expect on server level platforms. The platform is made in a way that it can carter not only to HEDT consumers but also to the work station community. 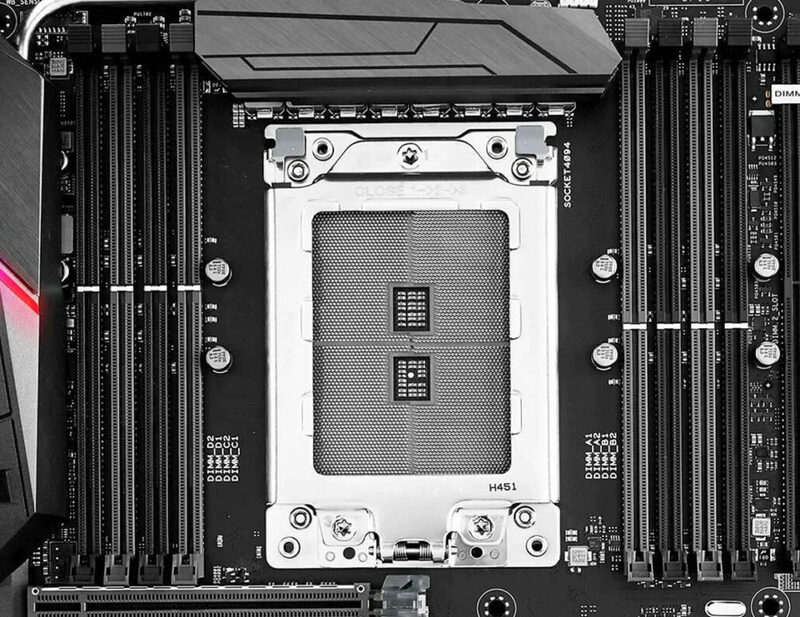 In terms of features, the X399 socket at the moment supports up to 16 cores and 32 threads and there’s no doubt that we will get more cores and threads on the same socket and platform in the future. It can support chips with up to 180W TDP and can deliver full 64 PCIe lanes to users. This means for the first time, we have a platform that can drive four graphics cards with full native x16 link speeds. This marks a major revolution and a win win for AMD. In addition to that, we get 8 PCH PCIe lanes, support for NVMe and NVMe RAID, quad channel memory, up to 12 SATA 3 ports and 14 USB interfaces. The only rival on the market for X399 is X299 and honestly speaking, the X399 takes the lead in terms of raw specifications and features. The AMD TR4 socket is the same as their server end SP3 socket which has been repurposed for the HEDT market. It is a monolithic design that feature 4094 pins in the LGA (Land Grid Array) design and looks absolutely beast. It’s worth noting that all previously released coolers are incompatible with Ryzen Threadripper. A new range of CPU coolers are required to dissipate heat from the massive heatspreader on AMD Threadripper CPUs. 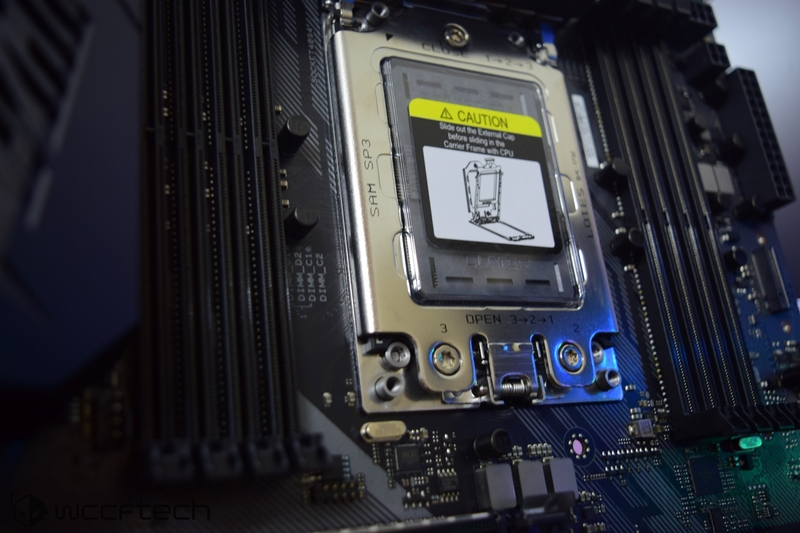 There are a total of nine manufacturers in the cooling industry who are right now offering their latest coolers for Ryzen Threadripper processors.